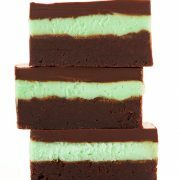 I’ve been on the hunt for the perfect brownie recipe for years. I’m pretty picky about my brownies. 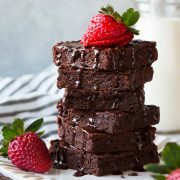 I don’t like them to have an overbearing chocolate flavor (call me crazy), I don’t like them to be so gooey they have no structure – I definitely like a little chew to my brownies, I like a fair amount of vanilla to compliment the chocolate flavor and I don’t like a brownie to be so rich I can only take a few bites. Oh and I like it to have an even consistency throughout, sometimes I end with dry edges and a super moist center. Not that picky right? Well on Sunday I considered testing out more brownies but instead an idea come to me, why not just make a small batch? I thought since I had just made a banana cake the day prior I should save myself the temptation of having a big a pan full of brownies sitting around and make just enough that I can only have one brownie for me and a few left to share with the rest of my family. I can’t even tell you how many times I’ve made this Single Chocolate Chip Cookie and this Peanut Butter Cookie, oh and let’s not forget the Oatmeal Raisin Cookie. I love that they are large enough to share yet there isn’t a whole pan of them so it makes portion control easier (unless you eat the whole thing by yourself at once). I turn to those recipes far more than I do an entire batch of cookies. They are a breeze to make and I dirty one bowl, one spoon and a piece of parchment paper. Maybe I’m not doing myself a favor with these recipes because they make it just so easy that they kind of become a spur of the moment kind of thing, plus you don’t have to dread a huge mess in your kitchen. Now we have small batch brownies and they are pretty much perfect! 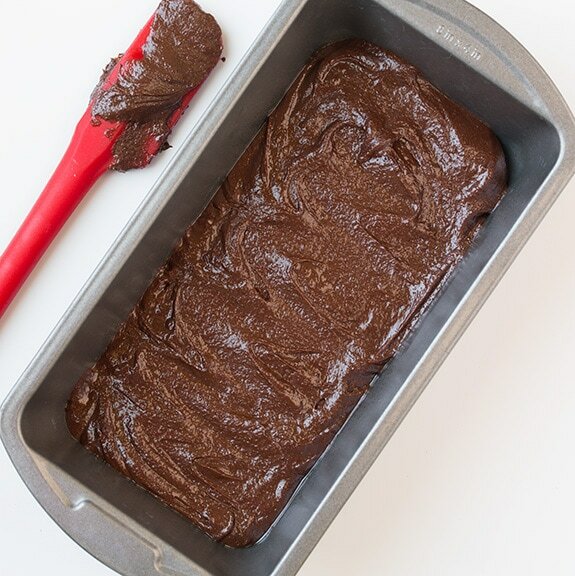 It only takes 6 ingredients (if you don’t have cooking spray just butter the pan, works just as good), one 8 by 4 loaf pan, a quick blend of ingredients and even the baking time is minimal since it’s such a small batch. My kind of brownies! You can adjust the recipe to suit your taste, if you are a more of a dark chocolate lover you’ll probably want to go with 1/4 cup cocoa as noted in the recipe. What are you waiting for? 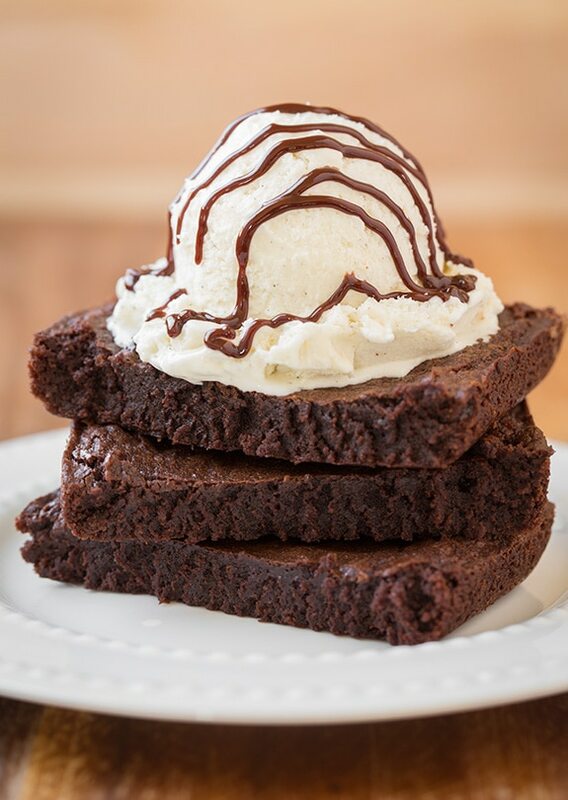 Homemade brownies don’t really get any easier, trust me! 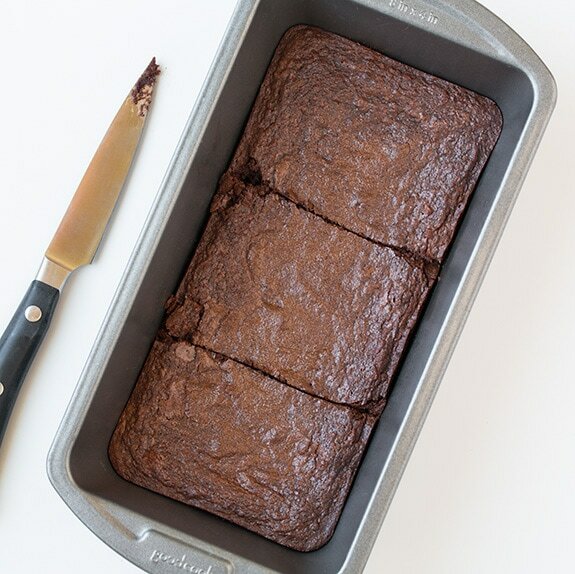 This is my go-to brownie recipe! It only makes a few so I'm not tempted by an entire batch of brownies sitting around for days. 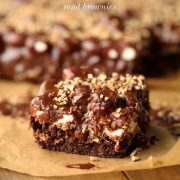 They're so easy to make, perfectly rich, deliciously fudgy and they're sure to satisfy those chocolate cravings. Preheat oven to 300 degrees. 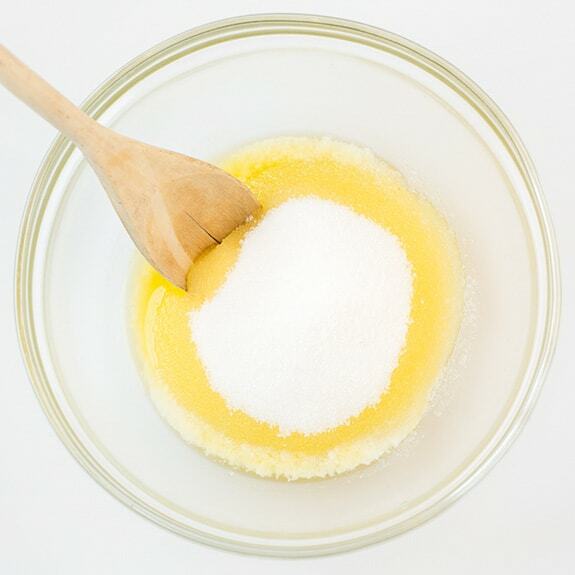 Spray a 8 by 4-inch bread pan (don't use a 9 by 5 or they'll be too thin) with non-stick baking spray. 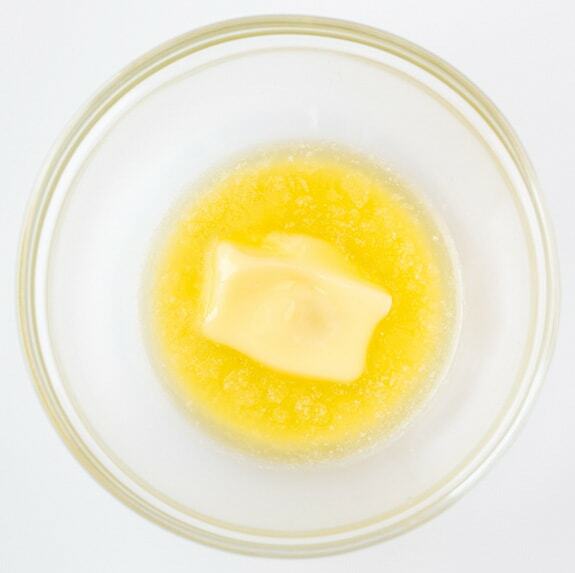 Place butter in a microwave safe bowl and heat in microwave until 2/3 of the way melted, about 25 seconds. 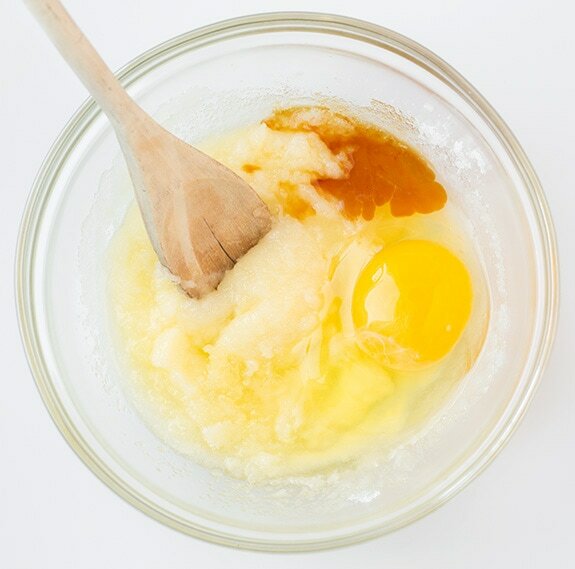 Mix in sugar, stirring until butter is fully melted, then mix in egg and vanilla extract. 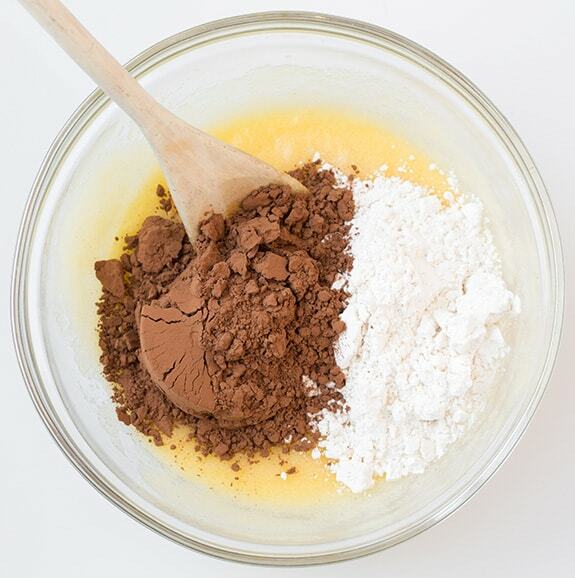 Add flour and cocoa powder and mix just until combined. Pour into prepared baking dish and spread into an even layer. Bake in preheated oven until set, about 20 minutes. 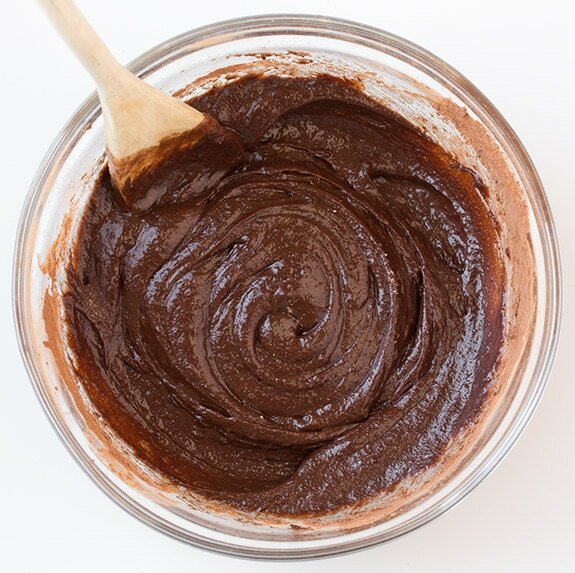 *For a more richly chocolate brownie, use 1/4 cup cocoa powder and 3 Tbsp flour. I tested the brownies both ways, just make them according to personal preference.